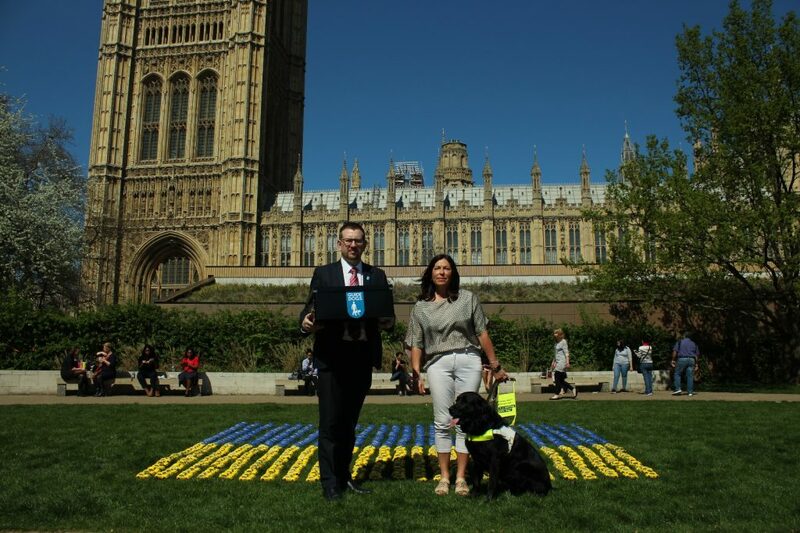 Denton and Reddish MP, Andrew Gwynne, has joined forces with the charity Guide Dogs to help hand in their Access All Areas petition, which seeks to push Government to take serious action to end the practise of illegally refusing blind and disabled peoples from accessing minicabs and taxi’s. Almost half (49%) of guide dog owners surveyed by the charity reported experiencing an access refusal in the past twelve months. The Access all Areas campaign runs specifically with the aim of ensuring that all assistance dog owners can access taxis, shops and restaurants without being refused entry, in line with their legal rights. Guide dog and assistance dog owners have important rights under the Equality Act 2010 (the Disability Discrimination Act (DDA) 1995 in Northern Ireland). This legislation provides for disabled people to have the same right to services supplied by shops, banks, hotels, libraries, pubs, taxis and restaurants as everyone else. It is against the law for service providers to treat people with disabilities less favourably because of their disability, or because they use disability related equipment such as a wheelchair or have a guide or assistance dog with them. Many refusals stem from the driver’s lack of awareness of their legal obligations, along with a general lack of consideration for the impact of a refusal. The best way to change this is through disability equality training, which makes sure that drivers know the rights and needs of people with disabilities. 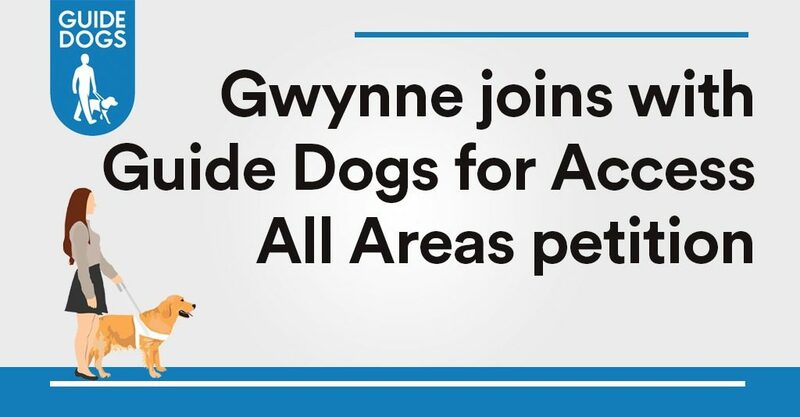 Gwynne’s close working relationship with Guide Dogs led, in 2016, to the Denton and Reddish MP introducing a Private Members Bill to Parliament to make sure all taxi and minicab drivers are trained in disability equality. It received a great deal of support from inside and outside Parliament, but Parliamentary time ran out and the Bill did not go any further. At the time the Minister promised further action, but to date, we still have not seen a commitment from the Government to make disability equality training a requirement for all drivers. “I’m supporting the Guide Dogs Access all Areas campaign and urge the Government to introduce this essential law change to enable guide dog owners and others to go out and about as they wish, using taxis and minicabs with confidence. “I’ve been refused access to taxis and minicabs, or been made to feel very stressed and uncomfortable on several occasions. Not being able to drive generally means you have more need to get a taxi and in most circumstances the only other option is to walk! One time I ended up walking 2 miles home from hospital after a taxi wouldn’t collect me and Yoko.